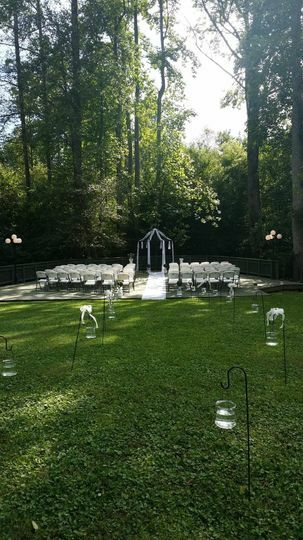 Willow Creek Inn is a wedding event venue located in Vale, North Carolina, that serves couples in the Charlotte and Asheville areas. This venue features an antique farmhouse tucked away amongst 30 acres of rolling hills adorned with cedars, willow trees, lavender, and jasmine. Accommodating small and large weddings alike, guests attending events hosted here can enjoy majestic beauty no matter the season. 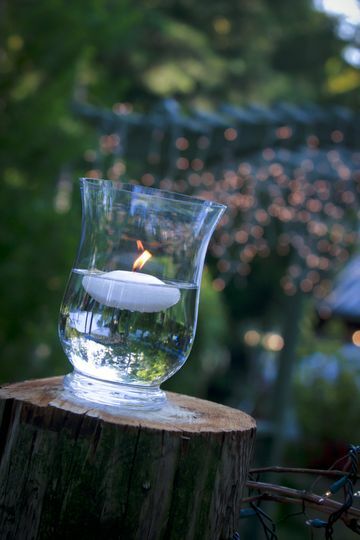 The staff at Willow Creek Inn pull upon nearly three decades of experience hosting weddings in order to provide couples with the magical, once-in-a-lifetime event they deserve. You can enjoy your day with up to 500 of your closest friends and family members. The spaces available for your bridal shower, engagement party, ceremony, and reception include indoor, covered outdoor, and uncovered outdoor locations. 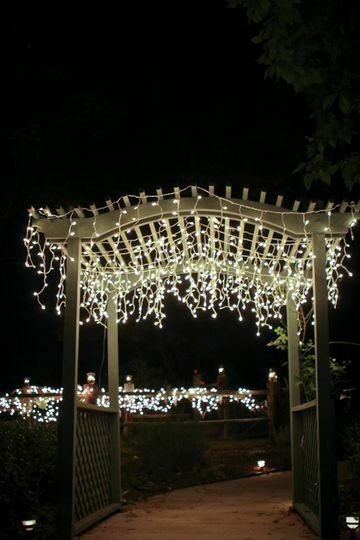 The Inn's Garden Trellis, Ceremony Deck, and Brookside Pavilion provide the perfect outdoor locations to wed and celebrate beneath a vibrant or starry sky. Willow Creek Inn's all-inclusive services make it easy for couples to reduce stress and get wrapped up in the romance of their big day. Their master chef with Beverly Hills fame offers incomparably savory and sweet cuisines and catering services. 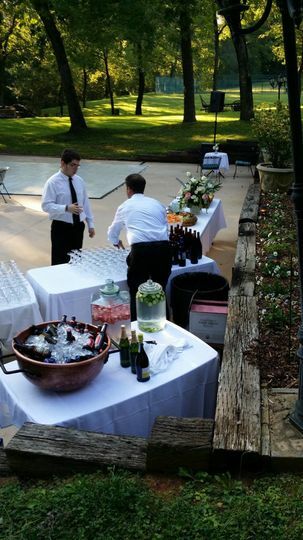 The venue also offers couples bar services, cake, setup, and clean up. 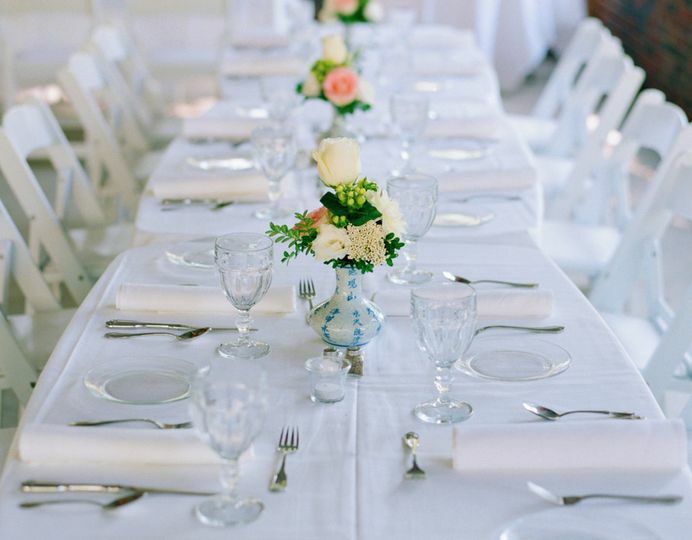 An experienced event planner is available to help couples navigate all of the complexities that come with planning their dream day, and event rentals help tie it all together. The venue houses getting ready rooms for the wedding party, and lighting/sound services can add to the ambiance of your event. Couples and their guests will have access to wireless Internet. 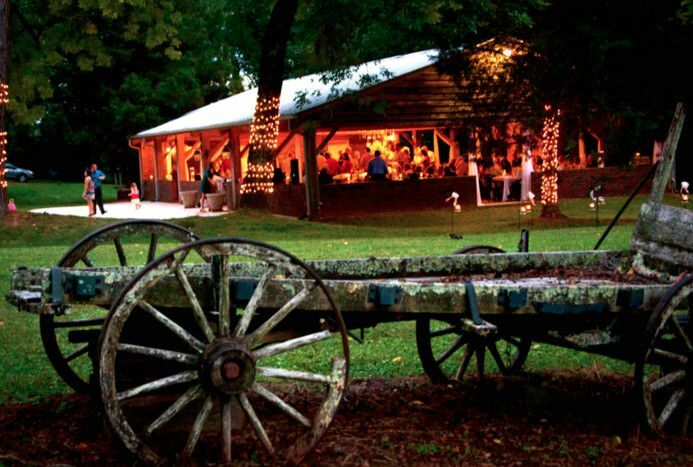 Willow Creek Inn offers couples and guests the opportunity to indulge in excellent cuisine. Chef Mansour's five-star specialty dishes are prepared using seasonal and fresh ingredients from local, organic vendors. For your wedding dining experience, you can request a buffet, cocktail reception, dessert, hors d'oeuvres, plated meal, tastings and servers. The professional at this venue also offer bar services. Enjoy an open bar serving house and specialty wines, liquors and beers. They'll even concoct a signature drink in commemoration of your big day. Barware, china, a chocolate fountain, flatware, glassware, and linens are also available. Our son and his fiance wanted an outdoor fall wedding. 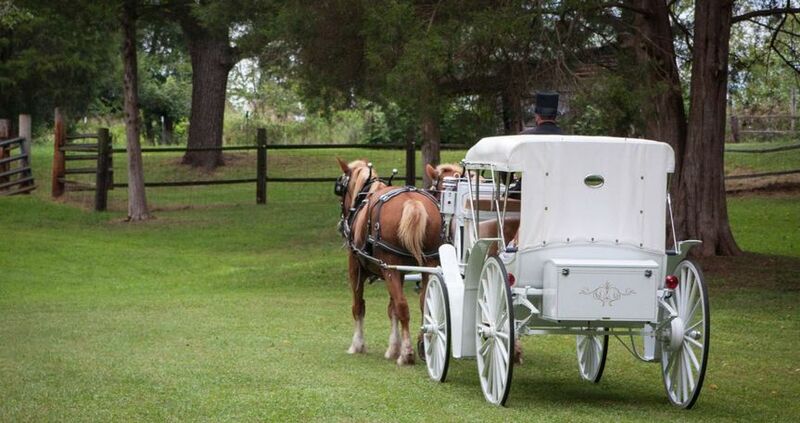 We looked at two other vendors before finding Willow Creek Inn. Once we met Mansour Zand, the owner and chef; and saw how beautiful the countryside was and knew this was what we were looking for. The quality of service he provided prior to the wedding day, the day of the wedding , as well as the day after the wedding was exceptional. He was professional, kind, respectful, and was able to guide us when we were not sure. 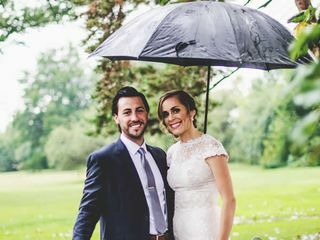 He helped us to create a backup plan if the weather didn't cooperate. The rehearsal dinner and the reception both were wonderful. We were very pleased with the way things turned out and we got exactly what we were looking for. It was worth the money spent. 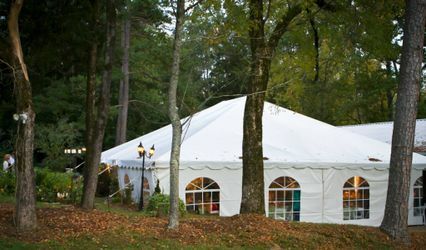 We received many compliments at the wedding on this venue, the food, the staff, and Mansour. He was so pleasant greeting all our guests and talking to them. We would do it again and recommend this venue to all. We plan to come to Willow Creek Inn with our family often. We hosted our son's rehearsal dinner here! Chef Monsour was so helpful in our menu planning and left NO detail undone. I'm not really a foodie so I was a bit worried about the flavors of his recipes, but we chose this place because our son loves it there. I believe the salad before dinner was the freshest salad I've ever had in my life, the lettuce was so flavorful and the homemade dressing made me want to lick my plate! We had nearly 60 people and we all fit out on the covered patio where we had great views of the property. I know he hosts parties monthly there, themed nights, I cannot wait to get back there for one of these! We cannot thank him and his staff for helping to make the stressful wedding week pushed out of our minds for those few hours we were there. Kudos to them! 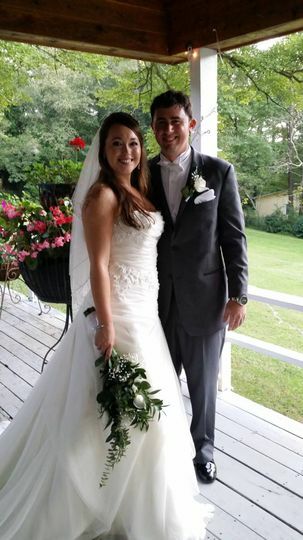 My husband and I were married here in September 2014, and we cannot say enough about how wonderful our experience was! The venue is fantastic, and has a rustic elegance that is truly unique. The gardens and large trees make a beautiful backdrop for photos, and dancing under the stars was absolutely magical. Mansour is an experienced wedding planner with unlimited options, and calling him a master chef doesn’t do his culinary creations justice. 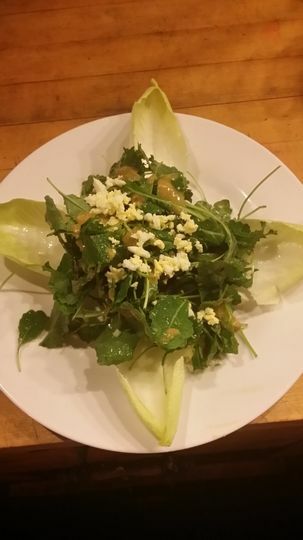 We are avid foodies, and our custom menu that he created still has our friends and family talking about it. The beautiful setting and unbelievable food are a combination which simply cannot be matched. 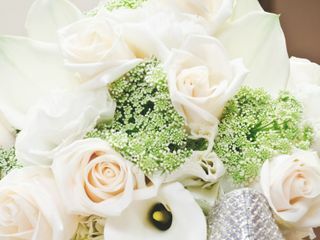 Friday and Saturday are our peak days for weddings. Host yours Sunday through Thursday and receive a discount. Call Mansour at 704-276-1111 for details. Reservations by appointment. Menu is seasonal and changes daily.